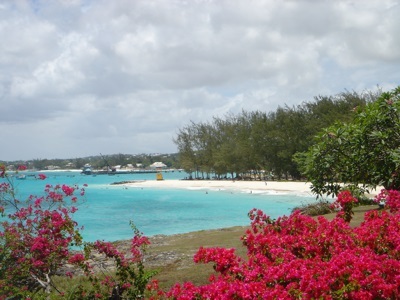 Barbados is an island country, one of the Lesser Antilles chain, and is located in the western Atlantic Ocean, just to the East of the Caribbean Sea. The country's closest neighbors are Grenada, Saint Lucia, Saint Vincent and the Grenadines, and Trinidad and Tobago. 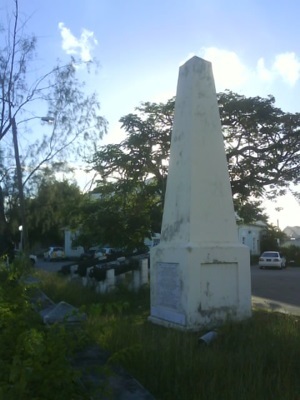 The estimated population of Barbados was 279,254 as 2005. About of third of the country's population live in the capital city, Bridgetown. 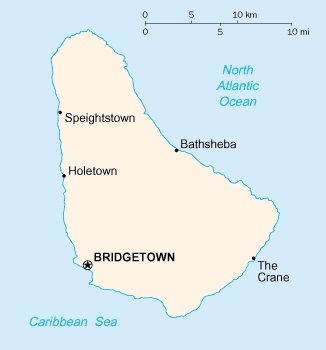 Other important towns on Barbados include Bathsheba, Blackmans, Crab Hill, Greenland, Holetown, Oistins, Speightstown and The Crane. When Barbados became independent from the UK in 1966, Barbados had a low income economy based around sugarcane production. Subsequently however the economy has grown considerably, and the country has diversified into other aries including tourism, financial services, information technology and light manufacturing. As a result, Barbados now has a high standard of living and has achieved upper-middle income status, and is today, the third highest rated country in North America in the Human Development Index after the US and Canada. The national currency of Barbados is the the Barbadian Dollar (BBD). Since 1975, the Barbadian Dollar has been pegged to the US Dollar, such that 2 BBD = 1 USD.